A best seller on PrestaShop Addons. More than 90% of users reccomend it. 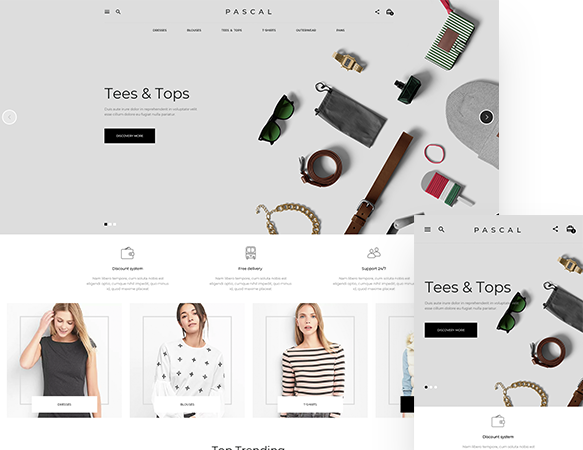 The theme is designed for selling fashion apparel, shoes and accessories. 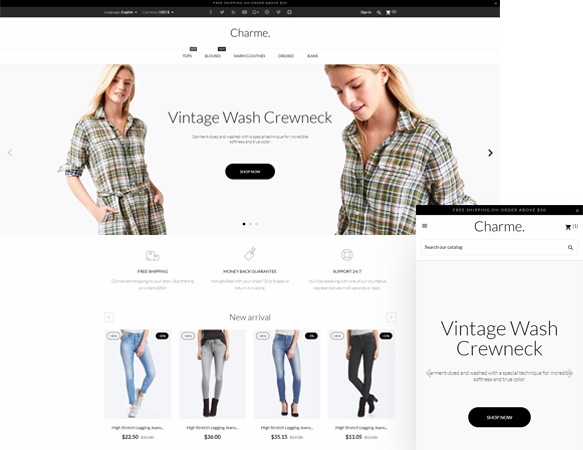 The theme is most suited for fashion, cosmetics and electronics stores. 5 modules are already included - you save $150. 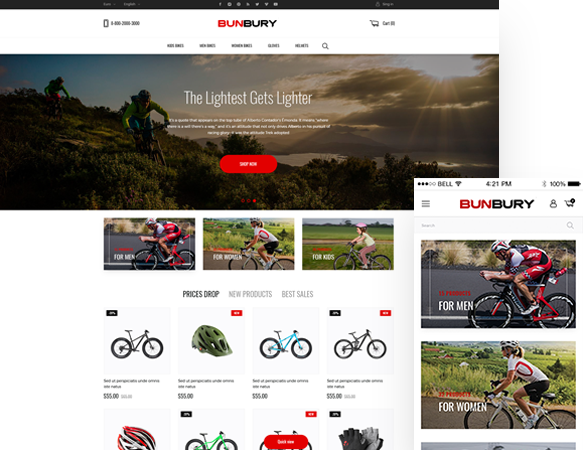 Start selling bicycles, snowboards, sport equipment and apparel with the Bunbury theme. More than 90% of users reccomend it. 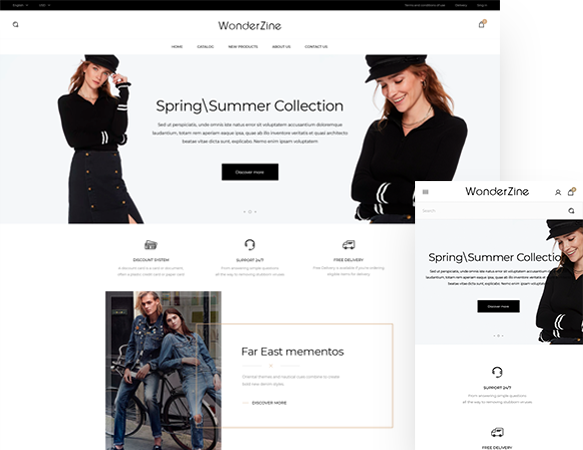 A fashion store theme. The design is made for fast and easy navigation and getting special offers seen. The theme is developed for selling vape kits, spare parts and accessories. Manage fonts, colors and banners to get the best out with advanced customization. Find the most suitable theme for your niche, see ratings and try demos.